Already listed with our Phuket villas rental directory? Specialist in the villa for rent in Phuket. We provide you unique Phuket villa rentals and vacation rentals for your authentic Phuket experiences with highest expectations villa for rent in Phuket town selection throughout all over Phuket area. Villas for rent in Phuket covers famous beaches in Phuket such Patong Beach, Surin Beach, Bangtao Beach, Kamala Beach, Naiyang Beach and so on. Ownership in Phuket the Phuket Vacation Club Starts from as little as $17,500 and entitles you and your family to 30 years of fabulous vacations in our beautiful and luxurious resorts here in Phuket out around the world. Renowned for its first-class property services and impeccable management service, the development has become synonymous with exclusive residential properties. Laguna Phuket, Asia's finest destination resort comprising six deluxe hotels that spans over 1,000 acres of idyllic tropical parkland on the North West coast of Phuket Island. Layan Villa, the Phuket leading property developments offers you villa for sale and rent that will enhance your holiday or your island living with seclusion and luxury. Les Palmares Villas, the 5 stars rating elegance residence project for sale and rent in Phuket. Oriental Style Villa located on difference Tropical Paradises of The Andaman's Pearl, Phuket. Our properties are designed in western technology and contemporary Asian styling. Welcome to Palm Village, Thai Style houses for rent at Rawai Beach, Phuket. At Pathaya Place Kata, Hotel and Villa Rooms, we provide clean rooms with friendly service, abundant amenities and car parking. Phuket Apartment offer great accommodation at budget prices. We are positioned in a convenient location, and all our rooms are modernly furnished and feature air-conditioned rooms, and western style kitchen. Phuket Land is committed to provide all our clients with professional and individual attention in the knowledge that our success and reputation are derived from your satisfaction. PHUKET VACATION APARTMENTS are two 100sqm 2 bedroom, 2 bathroom apartments within the brand new Club Lersuang Resort. The Pool Villa Club offer online bookings of luxurious vacation villas in Thailand by qualified only luxury, high-end villas with any attractive place. Richmond Group Renowned for its first-class Phuket property developments and impeccable management service. Five luxury superb villas design to satisfy all kinds of holiday in a tropical life style and very short walk away (2 minute) Rawai Beach in the South of Phuket. The paradise of the Private Villas - a brand new standard in luxury holiday living. 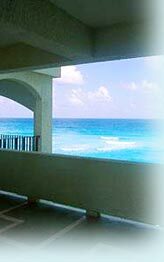 In addition to enjoying the intimacy and all comfort of home with private swimming pool. Vanich Bayfront Ville offers Asian-Style Tropical Villas for rent located on top of the hill overlooking Yon Bay and Makham Bay at Cape Panwa, south of Phuket Island. If you are looking for a holiday accommodation that conveniently suit your large family and is surrounded by tranquil fabulous ambiance, Villa Yodsanae is one of the best places to stay in Phuket.